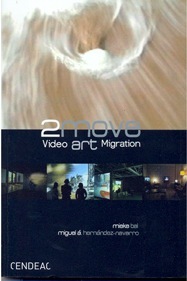 A published anthology of the video-art exhibition, featuring 22 international artists such as Keren Cytter, William Kentridge and Mona Hatoum at the Zuiderzee Museum. Bringing together the work of international artists from different generations and origins, 2MOVE explores the connections between video, mobility, migratory culture and our contemporary world. Today, the encounter with the traces of migration gives way to a plurality of sensory experiences which both transform and modify our everyday life., experiences that are themselves ‘aesthetic’.